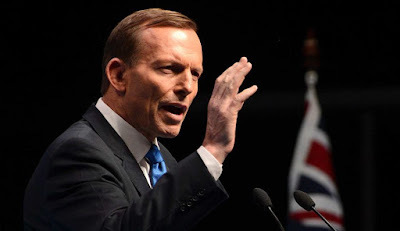 The former Prime Minister of Australia, Tony Abbott, has openly called for freedom of movement between the United Kingdom and Australia, as well as economic progress between the two countries once the United Kingdom withdraws from the European Union. “Geography means that Britain can’t leave Europe even if it wanted to; but, three months after the Brexit vote, my sense is that Britons are becoming quite reconciled to leaving the EU. It’s a ‘yes we can moment’. Still, post-Brexit Britain needs to show that it has economic partners while Australia needs to show that economic reform is not dead even in a difficult parliament. A ‘one page’ deal between the world’s fifth and 12th biggest economies for zero tariffs, full mutual recognition of standards and credentials, and free movement of people to work-but-not-to-bludge would be a rare win for economic common sense“. Abbott has previously expressed support for free movement between the two Commonwealth countries at a UK-Australia Chamber of Commerce meeting last month, and is supportive of additional free movement arrangements with Canada and New Zealand. With a former Prime Minister of Australia supporting free movement between the UK, Canada, Australia and New Zealand, as well as other senior political officials such as Alexander Downer (Australian High Commissioner to the UK) and Boris Johnson (UK Foreign Secretary), it seems likely that visa liberalisation and free movement will be making significant headway in the near future. For more information about our campaign, please contact us at support@CFMO.org.